A portion of the expanded dining area at Johana’s Restaurant on Main Street in New Milford. 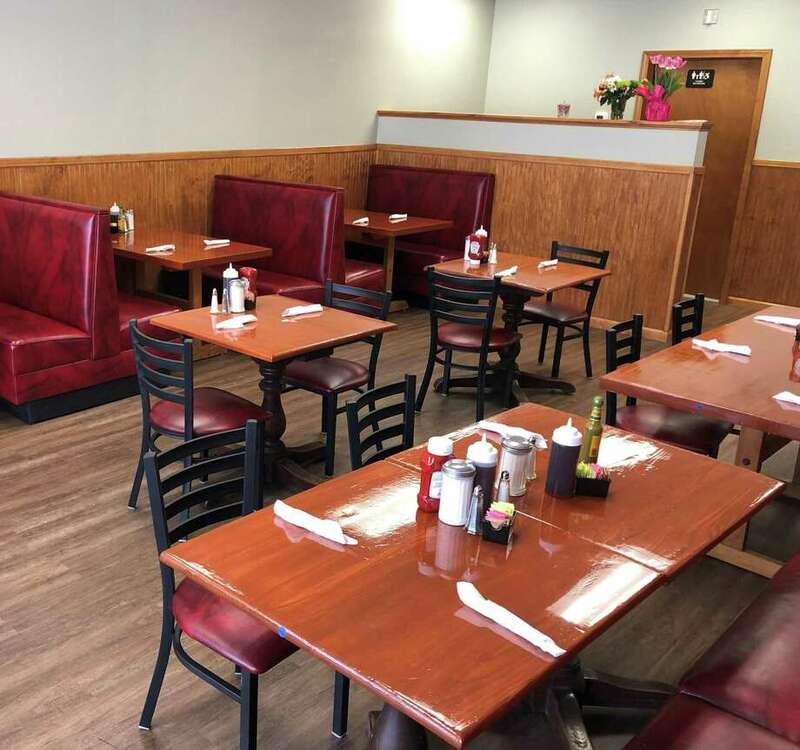 The eatery recently underwent a complete renovation and expansion, bringing seating from 28 to 56. NEW MILFORD — Johana’s Restaurant on Main Street reopened recently after a complete renovation and expansion. Nestled into a narrow, galley-style space next to the Village Green Cleaners, patrons have found the setting cozy for 13 years. The only downfall — too few booths to accommodate customer demand. The owners have wanted to expand the business for some time. When the restaurant’s neighbor, The Greater New Milford Spectrum and The News-Times, recently moved south one storefront, it allowed the restaurant to utilize the paper’s former space. Guzzardi praised the restaurant for being professional and friendly, and serving tasty food. “It’s the only place I have time to eat — there’s no rush —and get out” back in time to his Dental Associates office, which up until a few months ago was located at the base of Aspetuck Avenue, he said. Although his office moved to Route 202, he regularly returns to the restaurant, but was at a loss recently when the restaurant closed for final renovations. “Two weeks of downtime was brutal,” Guzzardi quipped. The expansion increases seating from 28 to 56. The additional seating allows for individuals and large groups to dine in the bigger space. Customers who prefer to dine in the quieter, cozier feel of the original space can do so in the galley-style dining area the restaurant preserved. “We wanted to keep it intimate,” said Angel of why they kept the original space intact. The restaurant’s walls are decorated with artwork by local residents and it boasts new tables, chairs and booths. The Riveras said they are overjoyed with the well wishes and greetings from customers, who have brought cards and flowers to congratulate them on the new chapter in their careers. “I feel the love of my customers, which is the best feeling,” Sonia said. Both Angel and Sonia, who are chefs and worked in restaurants prior to opening Johana’s in 2006, pride themselves in the menu they created. Breakfast fare such as Scotch eggs — two hard boiled eggs wrapped in homemade sausage served over toasts and topped with a mushroom cream sauce — omelets and corned beef and hash is served all day. Salads, wraps, burgers and soups are among the lunch options. Diane Dubreuil, who said she is a regular, dines there mostly for breakfast but also finds the lunch menu appealing. “I make excuses to go in about once a week for soup,” she admitted. Dubreuil describes the restaurant as the place to go, where locals talk amongst themselves, catching up on town happenings. “If I were traveling, it’s the kind of place I would look for, a place where the locals go for great food and where I can meet locals who know about events around town,” she said. Johana’s Restaurant at 43F Main St. is open Mondays through Saturdays from 6:30 a.m. to 2 p.m. and Sundays from 8 a.m. to 2 p.m. The owners said they are looking to possibly add more hours down the road. Takeout is available. For more information, call 860-354-5115.